City, today confirmed details of the three major international exhibitions it will be staging next month as part of its fifth anniversary celebrations, and the publication of its latest survey of Scottish Architecture. The programme will begin in Utrecht on 3 September and culminate in Glasgow on Thursday 23 September, with the centrepiece being Scotland’s first dedicated exhibition in the official Pavilion of the Venice Architecture Biennale. Announcing the programme Dr Stuart MacDonald, director of The Lighthouse, said: “What has emerged through The Lighthouse’s investigations of post devolution architecture is that any appreciation of it is nuanced. Perhaps because it lacks a single, coherent narrative that dictates how it should be understood, there is space for imagination and creativity. Our architects are now populating that space. They are also clearly aware of continuity; the on-going relationship between Scots and their topography, which is so intimate, is fundamental. Indeed the Scots and their stones might be said to form a single cultural landscape. We therefore need to study, examine, analyse, discuss, and learn more about this relationship. Architectuurcentrum Aorta, Utrecht of a new, smaller-scale, version of The Lighthouse’s international touring exhibition, Landforms. Meanwhile, the main Landforms exhibition, which features 17 ground-breaking Scottish developments commissioned or completed since devolution, opens on Friday 10 September. This will form the Scottish showcase in the Artiglierie of the Arsenale at the 2004 Venice Architecture Biennale – the first dedicated Scottish exhibition in the main Pavilion. Both exhibitions have been designed by Glasgow-based practice NORD architects. Key buildings featured include An Turas, Dance Base, Falkirk Wheel, Loch Lomond Gateway, Mount Stuart, Museum of Scotland, Scottish Parliament Building and Tigh na Drochaide. 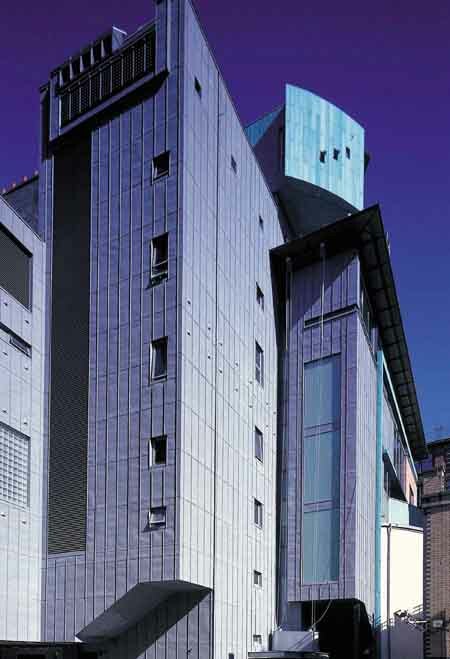 On 18 September 2004, a major exhibition, Architecture in Scotland 2002-2004 opens in Glasgow. Designed by Chris Stewart Architects, it showcases around 40 keynote buildings created in Scotland by 30 different architects practices since 2002. The developments range in size from major projects such as The National Galleries of Scotland Playfair Project and the Scottish Parliament to small-scale residential designs, and feature a variety of uses from domestic to commercial, medical, educational and leisure. Together the projects represent a £600+ million investment. Featured practices and buildings include: Allan Murray Architects; Charles Jencks with Terry Farrell Partners (Gulbenkian Prize winning, Landform UEDA, Edinburgh); Dualchas Building Design, Frank Gehry & Associates Inc. (Maggie’s Centre, Dundee); Gareth Hoskins Architects Ltd; Gordon Murray and Alan Dunlop Architects (Radisson SAS Hotel, Glasgow); jm architects; Malcolm Fraser Architects; PagePark Architects; Richard Murphy Architects and Reiach and Hall Architects. The associated publication, with introduction by Stuart MacDonald and a series of authoritative essays by leading architects and commentators, will be launched on 23 September. 2004 Contributing writers include Malcolm Fraser, Gordon Murray, Deyan Sudjic and Terry Farrell. Review copies available from 25 August 2004. 10.30am – 5pm, Tue from 11am – 5pm and Sun from 12 noon – 5pm. Individual tickets giving access to all areas of the building are priced £3 adults, concessions and children from £0.80. A range of membership and multi-visit tickets also available. For further information on The Lighthouse call + 44 (0)141 221 6362. Free access on 18/19 September during Glasgow Doors Open Day. 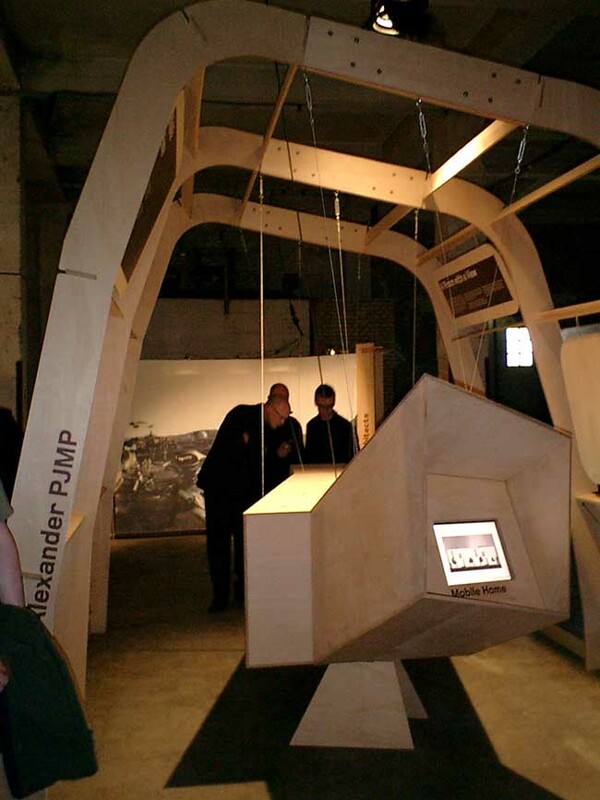 The Landforms exhibition in Utrecht is part of the Scottish Executive Scotland in the Netherlands initiative. The Scottish Pavilion at the 2004 Venice Biennale is supported by the Scottish Executive. The Architecture in Scotland 2002-04 exhibition and publication form part of The National Programme for Architecture, an on-going series of events and initiatives led by The Lighthouse that is delivering a number of the objectives of the Scottish Executive’s Architecture Policy. Architecture in Scotland PR issued 18 Aug 2004 on behalf of The Lighthouse by New Century PR. The centrepiece of the Landforms exhibition is a datum bench – an accurate representation of a topographical section (or slice) through Scotland from Strathey Point in the north to the Solway Firth in the south – constructed from slices of Douglas fir. Featured projects are related to the datum bench according to their longitudinal and latitudinal co-ordinates. Re:Motion won a Roses Design Award Oct 2003.